Established in the year 2001, we, 'Nobel Hygiene Limited', are a well-known manufacturer and supplier of a wide assortment of Personal Hygiene Products. The product range that comprises of Nappy Pads, Baby Diapers, Wet Wipes, Adult Diapers, Underpads, Maternity Pads & and Wipes is widely used for personal use and in the health-care industry. 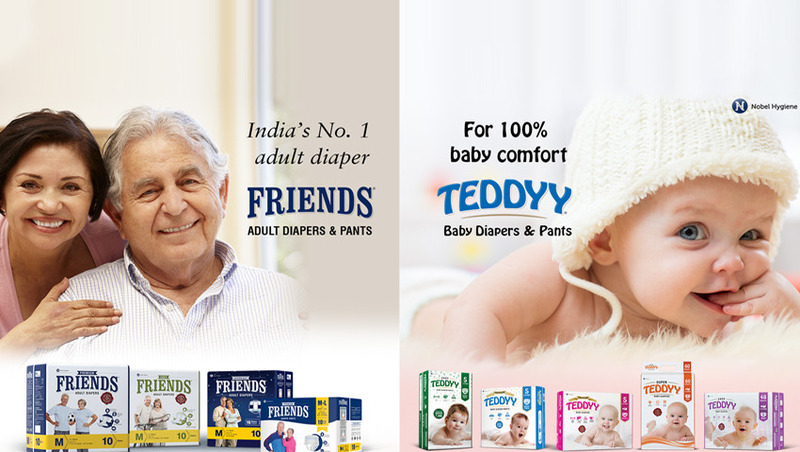 Our offerings are marketed under the brand names TEDDYY for babies & FRIENDS for Adults. These have been acknowledged for high comfort and skin-friendliness. We are a closely-held public limited Company with an annual revenue of 300 Million INR and based at Mumbai, Maharashtra (India). We also have a manufacturing facility at Sinnar, Nashik in Maharashtra as well. We have collaborated with a Network of Stockists, Dealers & Retailers that help us in reaching our customers well on time. Over the years, we have achieved consistent growth of over 50% of annual revenue, since inception. With the help of our professional competent team, our brands have been gaining in market share over the years in all segments. We thrive under the able guidance of our director, Mr. Kamal Johari. Owing to his entrepreneurial skills and management capabilities, we have achieved a remarkable position in the market. He is assisted by a team of professionals who have vast experience in the FMCG trade with specific expertise in handling all classes of customers in Modern Trade, Traditional Trade, Hospitals & Institutions as well as Entrepreneurs. We are noted organizations engaged in manufacturing and supplying a wide gamut of Personal Hygiene Products. Our offerings are manufactured using high-grade material under a quality bound process in tandem with prevailing quality standards and guidelines. Thereafter, the finished product range is meticulously tested by experts on various parameters, prior to dispatch. Our competent workforce encompasses highly qualified, skilled and experienced professionals who help us in streamlining business operations. They work in tandem with each other in order to fulfill clients'''' requirements and achieve organizational goals simultaneously. Owing to their dedicated efforts, we have achieved commendable success in the business domain. Besides, we have appointed customer care executives to maintain responsive communication with the clients. We have emerged among leading organizations in the associated business domain owing to proficient business functions and management. Our premier range catering to the requirements of the health industry and has earned us credibility in the market.